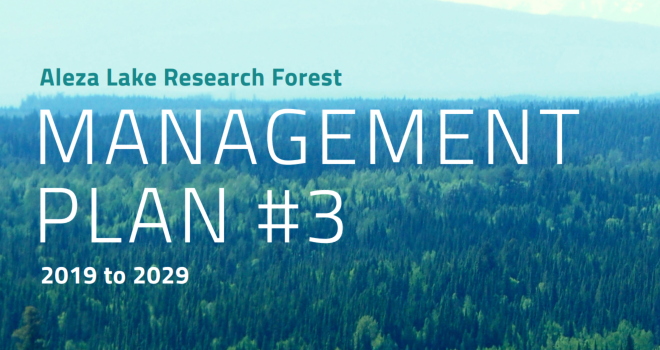 The Aleza Lake Research Forest Society (ALRFS) is pleased to announce the release of its Management Plan No. 3 for public review and comment. This plan relates to the management of the Aleza Lake Research Forest (ALRF) area for the period of 2018 to 2028 and is required by Special Use Permit S23615 as specified by the Ministry of Forests, Lands, Natural Resources Operations, and Rural Development. If approved by government, this plan will replace the previous ALRF management plans for the area. The ALRF is a 9,002 hectare university research forest located approximately 60 km east of Prince George, and is south to southwest of the village of Aleza Lake, BC, between the Upper Fraser Road to the north and the Bowron River to the south. Maps of the ALRF can be found at: http://alrf.unbc.ca/?page_id=7 . 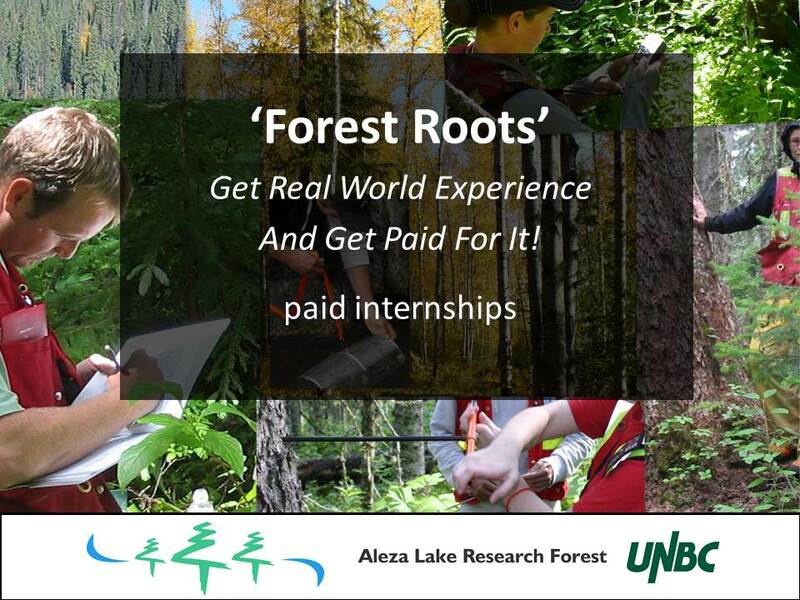 The tenure-holder, the Aleza Lake Research Forest Society, is a registered non-profit society with board membership including representatives of the University of Northern BC (UNBC), the Province of BC, and the forest community. The ALRF Society invites members of the public to review the proposed management plan, and to provide responses to the Society on issues or areas of comment or concern regarding the plan. Defines a wide range of forest management objectives for the ALRF including but not limited to forest research and education, biodiversity, recreation, timber, wildlife and aquatic habitats, social values, cultural heritage resources, and road access. The public review and comment period for this proposed Management Plan is August 31st to October 30th, 2018 inclusive. The proposed ALRF plan and timber supply review documents can be accessed on-line in pdf format at: http://alrf.unbc.ca/2018/MP/ , or viewed at ALRF offices (Rm 11-122, 3333 University Way, Prince George, BC, V2N 4Z9), by prior appointment, during regular office hours (Monday to Friday, 8:30am to 4:30pm, excluding statutory holidays). For more information or to provide comments, please contact Mike Jull RPF, ALRF Manager (jullm@unbc.ca ; (250) 960-6674) or Colin Chisholm RPF (colin.chisholm@unbc.ca ; (250) 960-6338), or contact us by regular mail at the above address. To be considered, we respectfully request that responses and comments be received at ALRF offices by no later 4:00 p.m. on Tuesday, October 30th, 2018, either by mail or email, or in person by appointment. Respondents are responsible for ensuring successful receipt of comments by the ALRF by the above date.